With the passing time, the technology has made its way to mobile under 10000 with advanced features of 16 MP rear camera, increased battery size, Full HD + display, fingerprint scanner, etc. To make your task easier in picking right one, here Sitaphal.com has brought the handpicked top 10 best Android phone under Rs.10000 with price, from brands like Vivo, Samsung, Mi Redmi, Lenovo, etc. You can order through Cash on Delivery or other means from Flipkart, Amazon.in, TataCliq, Ebay, Shopclues and more. These are 3G, 4G LTE and VoLTE devices having 2GB/ 3GB/ 4GB RAM and other latest features. The following smartphones, Lenovo K6 Power, Moto E3 Power, Lenovo Vibe K5 Plus, Panasonic P85, Samsung Galaxy On7, Samsung On5, On5 Pro, On7 Pro, Panasonic Eluga Ray X, Vivo Y53, Oppo A37, and Samsung Galaxy J2 2016 are power packed and easily fit in your budget. Also, these are great alternatives of Redmi Mobiles such as Note 4, 4A, 3S and 3S prime. Exclusive Offer: Get extra Cashback Reward on every order via Sitaphal (as per the store rates). How to get extra Cashback on Mobile Phones? Relatively new in the lot, Lenovo K6 Power a great device that has gained popularity as soon as it is released. It is powered by a massive 4000mAh Battery that keeps the phone running for long duration. 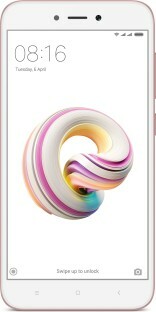 It is available in 2GB/ 3GB/ 4GB RAM. The specs also include 5.0" (12.7 cm) Display, 13 MP primary cameras, Android v6.0.1 (Marshmallow) operating system, octa core processor, and more. Lenovo Vibe K5 Plus is an excellent 4G smartphone that offers a lag free performance all the time, even while multitasking. It runs Android v5.1, powered by Octa core Processor, 3GB ROM, has 5-inch touch screen display, 13 MP Primary Camera, 2750 mAh Battery, etc. Samsung Galaxy On7 has a large 5.5-inch TFT display, 1.5 GB of RAM, 8 GB of internal memory, 13MP and 5MP rear and front cameras, 3000 mAh battery, etc. It runs Android 5.1 and powered by Qualcomm Snapdragon 410 processor. Designed for everyday entertainment, Samsung Galaxy On5 flaunts a 5-inch HD display, sleek deasign and features like 2600 mAh powerful battery, Quad Core processor, 8MP rear and 5MP selfie cameras, and more. Buy at just Rs.7,490. Samsung Galaxy On7 Pro is one phone that is worth purchase. Apart from being a creation of the top most smartphone manufacturer, it also has a bunch of amazing features like 13MP primary and 5 megapixels front facing cameras, 5.5-inch capacitive touchscreen display, Andorid v6.0 operating system, 1.2GHz quad core processor, 2GB of RAM, 16GB of ROM, removable 3000 mAh battery, and more. Features: 5.5-inch with 720x1280 pixels touchscreen display, Android 6.0 Operating System (OS), 13MP rear and 5-megapixel front Cameras, 1.3GHz quad-core Processor (CPU), 3GB RAM, 32GB storage, 4000mAh battery capacity and more. Vivo, the selfie expert brand, launched Vivo Y53 as a low budget phone that clicks amazing selfies. It has 5 megapixels front and 8-MP back cameras, Android v6.0 (Marshmallow) operating system, Quad-core Processor, 2500 mAh Battery, 5.0-inch (12.7 cm) crystal clear Display, etc. If you are fond of shooting selfies, Oppo A37 is surely a great buy for you. This smartphone has a Android v5.1 (Lollipop) OS with Quad core Processor, 5-inch Display, 8-MP rear Camera, 2630mAh Battery, multiple connectivity options and more. Samsung Galaxy J2 (2016), the upgraded version of J2 which was launched a year earlier to this model, is surely one of the best among the lot with huge number of admirers. The phone runs Android v6.0 (Marshmallow), is powered by quad core processor, has 5.0-inch touch screen display, 8 megapixels rear camera, 2600 mah battery, and other latest features. The exclusive smartphone from Xiaomi, Redmi 4A, tops the list of best android phones of the year under Rs.10000. This device is currently available on flash sale, every Thursday at 12 PM. It is decked with all latest features like Android v6.0 (Marshmallow) operating system, powerful quad core processor, 5-inch (12.7 cm) display, 13 megapixel primary camera, 3120 mah battery, and lots more. Features: 5.5 Inch display, Android 7 Operating System (OS), 16 Megapixel rear and 16 Megapixel front Cameras, Quad Core Processor (CPU), 3 GB RAM, 32 GB Storage, 3080 mAh Battery Capacity, etc.